I wasn’t going to post this. It’s so easy, it’s not even a recipe. But then I figured, if I hadn’t thought of it, then maybe others hadn’t either and could benefit from having a healthy, super fast, week-night meal. So here goes…Enjoy! Slice the cherry tomatoes in half and spread in 1/3 of a 9×13 baking dish. Put the salmon in the middle third of the dish. Put the green beans in the last third of the dish. 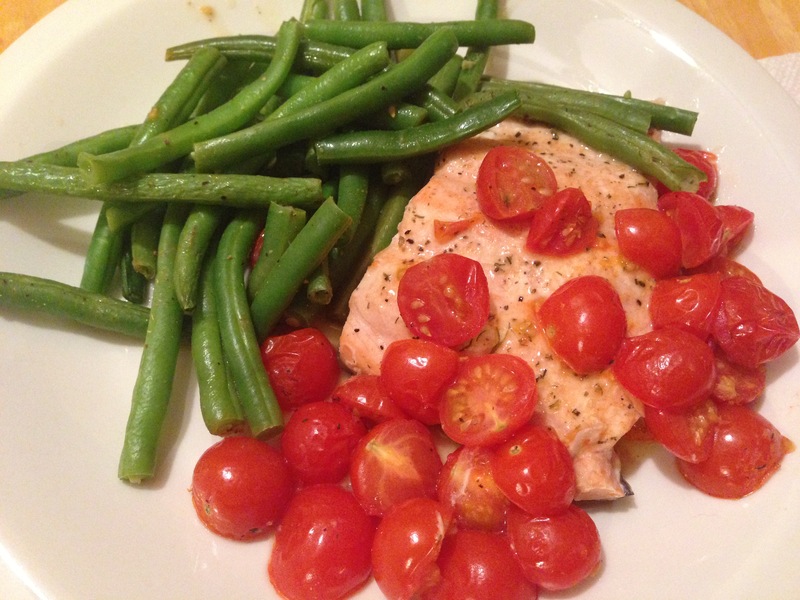 Season tomatoes, salmon, and green beans with salt, pepper, and Season All–to taste. Pour lemon, butter, dill sauce over salmon only. Bake for 30 minutes, or until salmon is done. 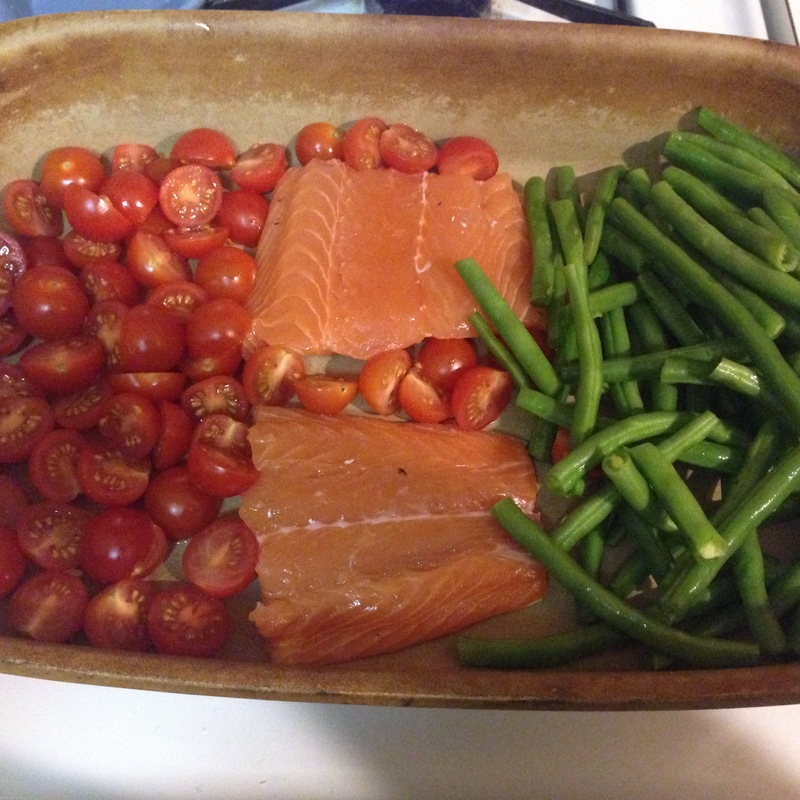 tara’s tips: This dish looks so pretty with all of the colors. The salmon and cherry tomatoes are bursting with flavor–literally when it comes to the tomatoes. The green beans are very crisp, which I’m not accustomed to (usually my green beans are prepared very soft, so this was a first for me), but they had good flavor. Though I would suggest roasting them for about 15 minutes on their own before cooking them with the tomatoes and salmon, just to soften them up. All personal preference!